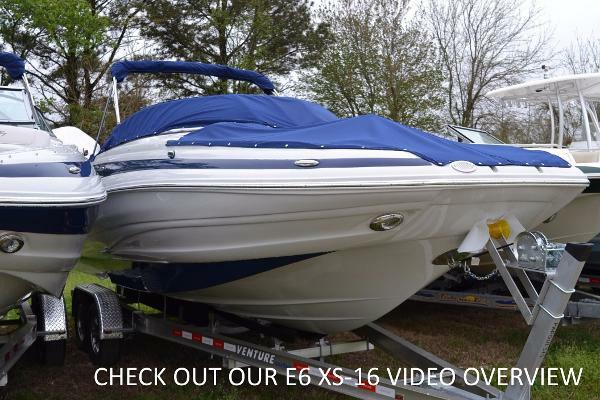 2017 Crownline E4XS Crownlines new 2017 E4XS Outboard version of the E4! 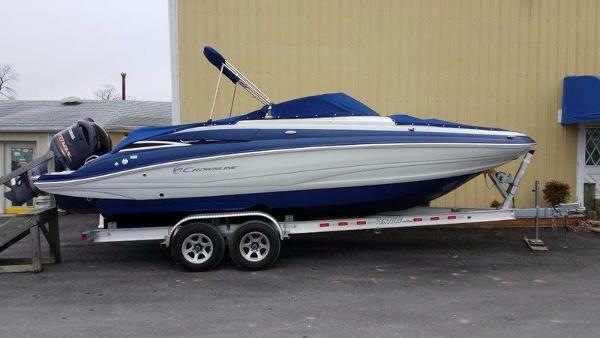 250HP Vmax Yamaha 4 stroke Fully loaded! 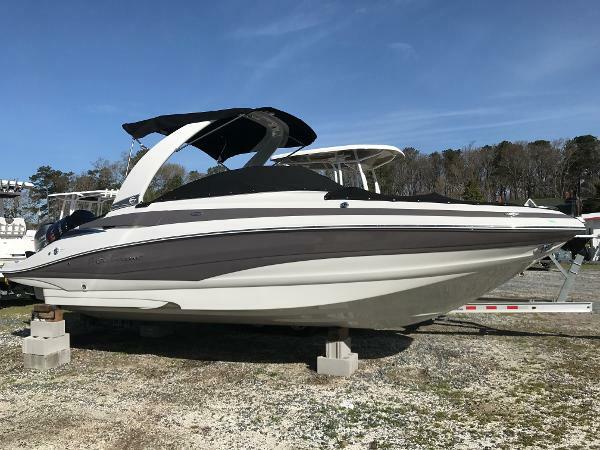 snap in sea deck flooring head fresh water lounge seats powered rear recliner/ flip flop seat bimini top loud stereo system! blue led light package Call our Clearwater store at 727 270 7262! 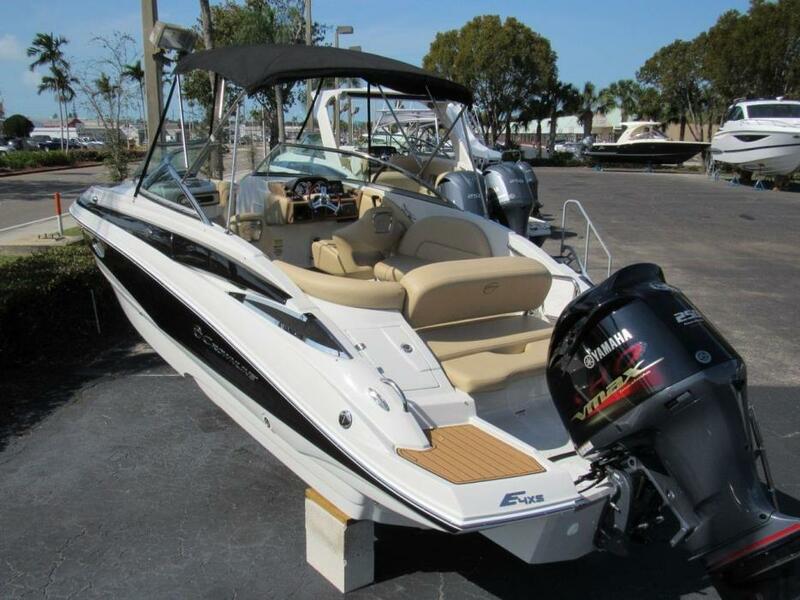 Crownline Boats is pleased to announce the introduction of the Eclipse E4 XS. With all the luxuries of its popular sister boat, the Eclipse E4, this boat Crownline provides the flexibility of an outboard or sterndrive. All of the unique and innovative design philosophies of the sterndrive versions have been incorporated into this versatile outboard. 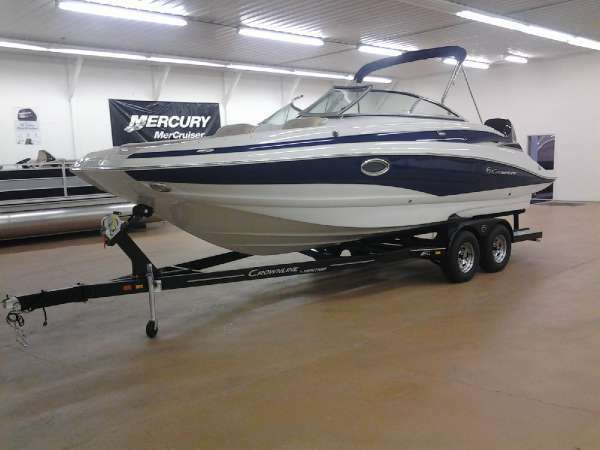 Made with the same attention to detail and latest technology that Crownline is known for, this is a gorgeous boat youre not going to want to miss! The E4 XS is built on Crownlines proven F.A.S.T. Tab® hull design; equipping this boat with high performance and a sleek design profile. 2017 Crownline Eclipse E4 XS Crownline Boats is pleased to announce the introduction of the Eclipse E4 XS. With all the luxuries of its popular sister boat, the Eclipse E4, this boat Crownline provides the flexibility of an outboard or sterndrive. All of the unique and innovative design philosophies of the sterndrive versions have been incorporated into this versatile outboard. 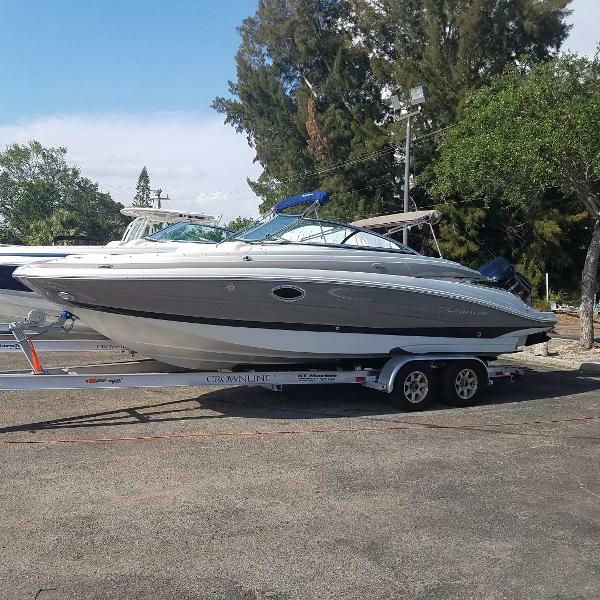 Made with the same attention to detail and latest technology that Crownline is known for, this is a gorgeous boat youre not going to want to miss! The E4 XS is built on Crownlines proven F.A.S.T. Tab® hull design; equipping this boat with high performance and a sleek design profile. 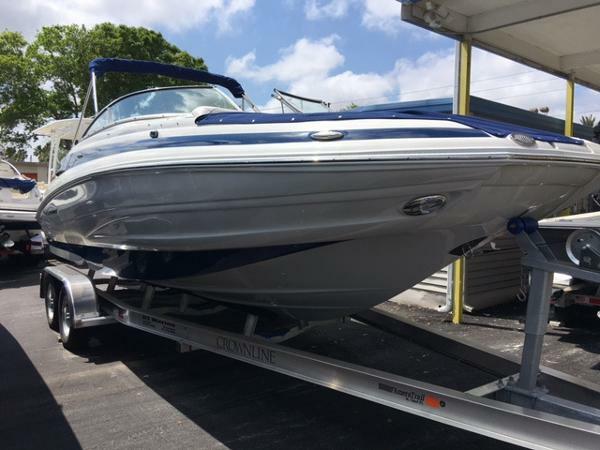 2017 Crownline Eclipse E4 XS Stock# 2477 Like new 2017 Crownline E4 XS. 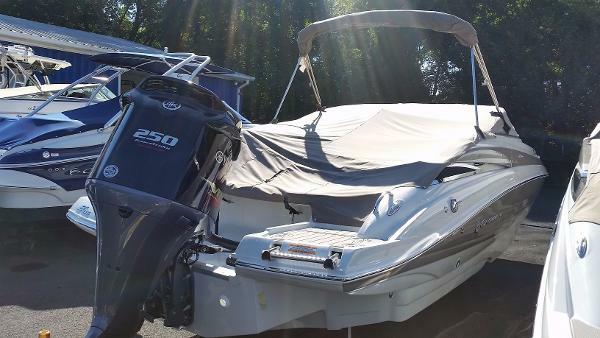 Boat is less than a year old and has less han 50 hours on the Yamaha 250 VMAX. Warranty on the motor until 2021...Pictures to follow soon! 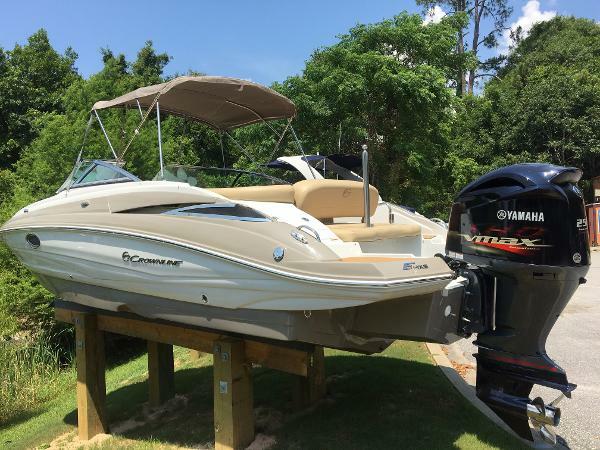 2016 Crownline E4 XS The E4 XS is a leader in deckboats with a spacious layout and loads of creature com-forts. It is available with all the Crownline options like an enclosed head with pres-surized water. 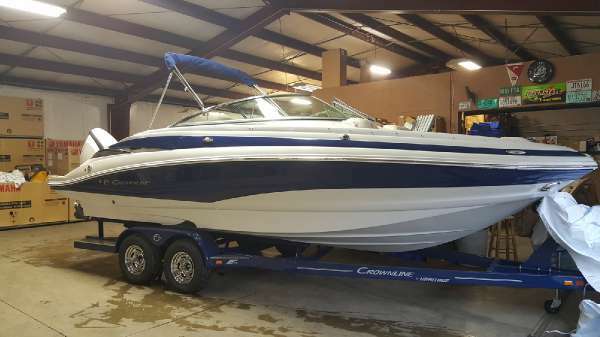 Deckboat extras like the “hot tub” style bow seating and front andrear swim platforms are standard. On Order. Mercury Verado 300 Hp Outboard.. This boat is Loaded.. Mercury 300 Verado XLSnap-in Teak Cockpit MatPremium Steering Wheel Center Cap for Executive WheelRaymarine A65 - Touchscreen MFD w/Engine InformationBow Filler CushionsBow Flip Up Heavy Duty Arm RestsSide Mount TableBimini TopBow CanvasCockpit CanvasBattery ChargerLED Lighting - CockpitTrim Tabs w/IndicatorsPolk Premium Stereo(Waterproof, AM,FM,WB,USB,Siriusxm Ready,Ipod& Iphone Controls & Charging,Bluetooth)Extra Two Speakers (Total of 3 Pair)Hand Held Shower (Transom)Porta Potti Includes: Customer Advanatge IncentiveCrownline Summer Sales Event Call WaterSports Central today for more info. 2017 Crownline Eclipse E4 XS Crownline Boats is pleased to announce the introduction of the new Eclipse E4 XS. With all the luxuries of its popular sister boat, the Eclipse E4, this boat Crownline provides the flexibility of an outboard or sterndrive. All of the unique and innovative design philosophies of the sterndrive versions have been incorporated into this versatile outboard. 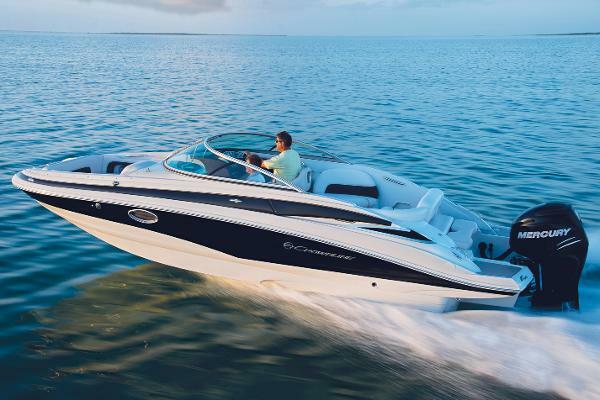 Made with the same attention to detail and latest technology that Crownline is known for, this is a gorgeous boat you’re not going to want to miss! The E4 XS is built on Crownline’s proven F.A.S.T. Tab® hull design; equipping this boat with high performance and a sleek design profile. 2017 Crownline E4 XS Crownline Boats is pleased to announce the introduction of the new Eclipse E4 XS. With all the luxuries of its popular sister boat, the Eclipse E4, this boat Crownline provides the flexibility of an outboard or sterndrive. All of the unique and innovative design philosophies of the sterndrive versions have been incorporated into this versatile outboard. 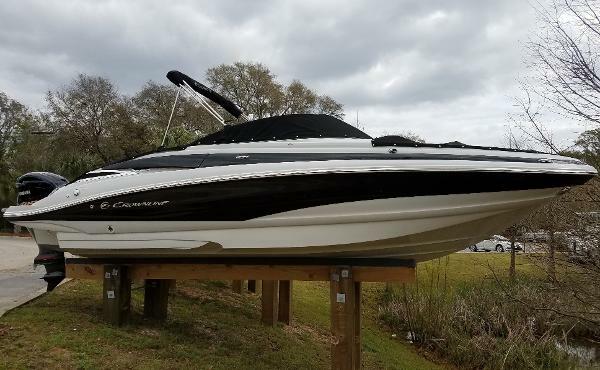 Made with the same attention to detail and latest technology that Crownline is known for, this is a gorgeous boat you’re not going to want to miss! The E4 XS is built on Crownline’s proven F.A.S.T. Tab® hull design; equipping this boat with high performance and a sleek design profile.